We're excited to start choreography for our spring session. We hope you will join us this season:) Each of our classes from age 2 to 17 years will explore and develop dances inspired by Lewis Carroll's book "Alice in wonderland"
TBT to last years recital excitement. Loving all the different hairstyles in this picture (photo by Christine Meyers)! 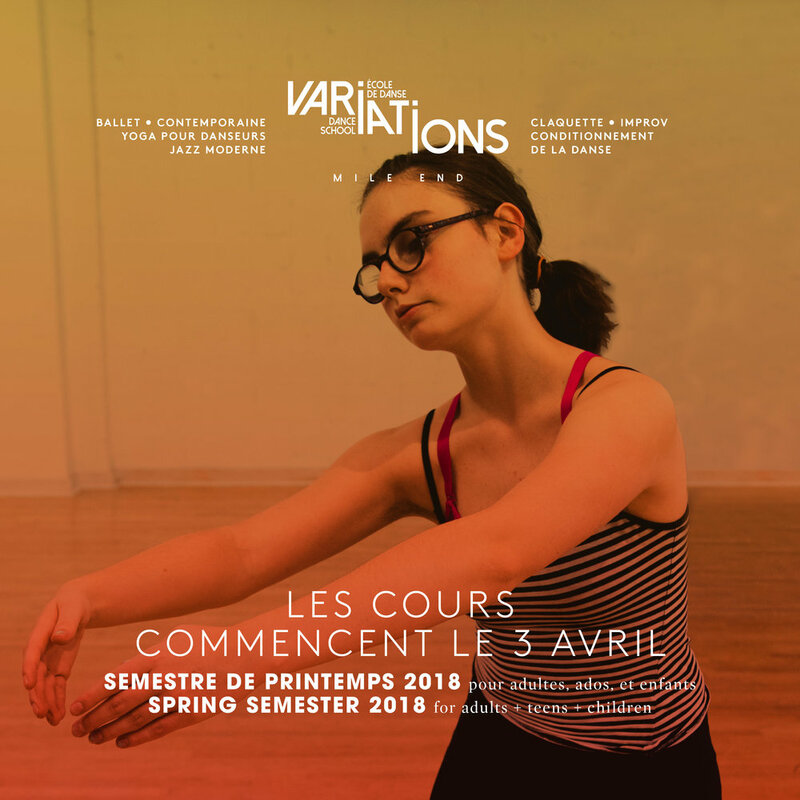 We're gearing up here at Variations Dance for our upcoming spring semester April 3-June 10 and year end recital held at the Rialto theatre on June 10th. Throw back Thursday to one of our summer camps a few years ago. We have so much fun creating a whole production. Ballet/jazz choreography, building sets and exploring costume ideas; these kids really know how to fill their summer days. These past few warmer days we've had here in Montreal have me thinking on park days and eating lunch outside again! ...ok well warm may be pushing it but it's been such a COLD WINTER!, a girl's gotta dream. Loving this song's soft and repetitive groove. Inspires lots of turns, jumps and long lines. Choreography Jazz Teen class on Tuesday evenings. Now you know where to find us.